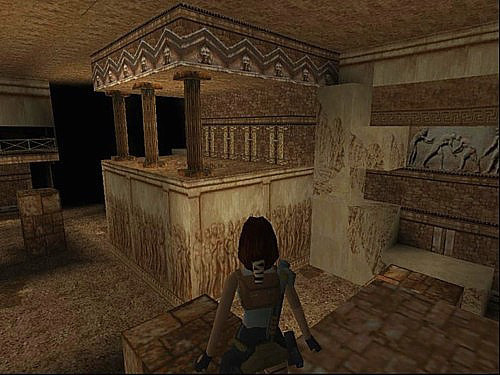 This is how to have a number of switches open different doors, depending on which switches you operate, similar to the set up in the Palace Midas level of the original Tomb Raider game. It doesn't matter which code bit sequence you use for the first switchtrigger, or the second switchtrigger, you just have to make sure that when you've pulled all the switches, that 'the sum' of all the code bits in all the 5 code bit places is 1. So if you set switchtrigger #3 to: 00110, the final result (when you pull all three triggers) would be 11111 and the object with (triggers on all 3 places) is triggered. The result of pulling different switches doesn't always have to be 11111. When you open the OCB panel of an object, you will see that there are 5 code bits. You can press them, and these settings will also affect the sum values when added to the switchtrigger settings. Now, when you have 3 doors that need to be opened at different times, you can use the OCB code bit of the object. Then you place triggers for door 1, door 2 and door 3 on the tile of switchtrigger #1, #2 and #3 (so you place 9 triggers!). Now you just have to add up. 11111 and door 1 will open. 10100 and door 2 is will not open because the end result isn't 11111. 11101 and door 3 is will not open. door 3 opens after switch 1 & 2 & 3 AND door 1 and door 2 will close when you pull switch 3 (because the code bits don't add up to 11111).